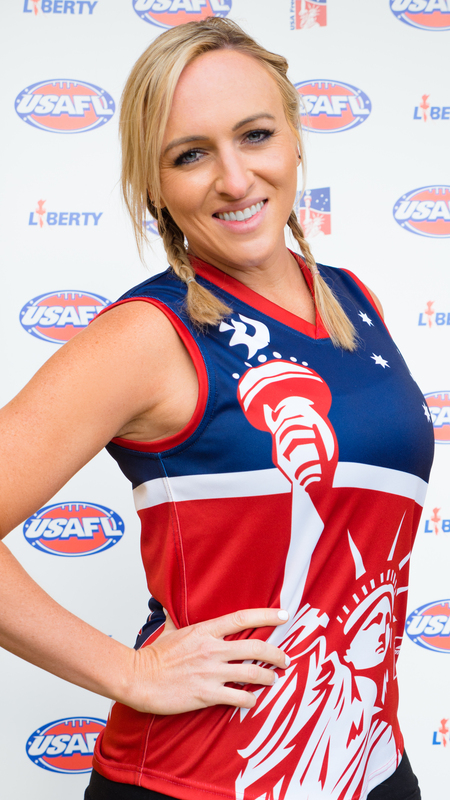 Melissa "Mel" Armstrong was introduced to footy in 2003, long before it was normal to see women playing the sport in the USA. She stopped playing in 2003 after getting too many calls for tackling players because women weren't allowed to tackle at that time. She made her comeback in 2010 and has happily continued her tackling skills since then. When she's not tackling or bouncing the ball, she's busy being the Assistant Vice President and Branch Manager for a title and escrow agency, coaching her children's soccer leagues, or doing CrossFit and staying fit.